Amy is a Senior Designer and Senior Planner at KTUA, a San Diego based planning and landscape architecture firm, who contributes to landscape architecture and visual analysis projects in the office. She has experience working on restoration projects, public park projects, and transit oriented projects, as well as visual impact studies. Amy is interested in both natural systems and historic landscapes, as well as the role landscape design can play in preservation of visual, historic, and natural resources. Amy received a B.A. in Landscape and Architecture Studies, a self-designed major, from Pomona College, and an M.L.A. from Cal Poly Pomona. She is a California Licensed Landscape Architect (#5212), and a member of the American Society of Landscape Architects. 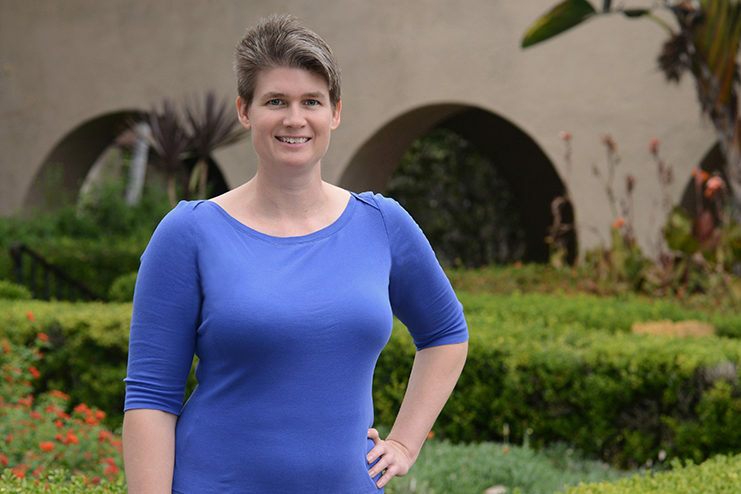 Amy is a member of the San Diego ASLA Historic Landscape subcommittee and a volunteer docent with Save our Heritage Organization (SOHO).